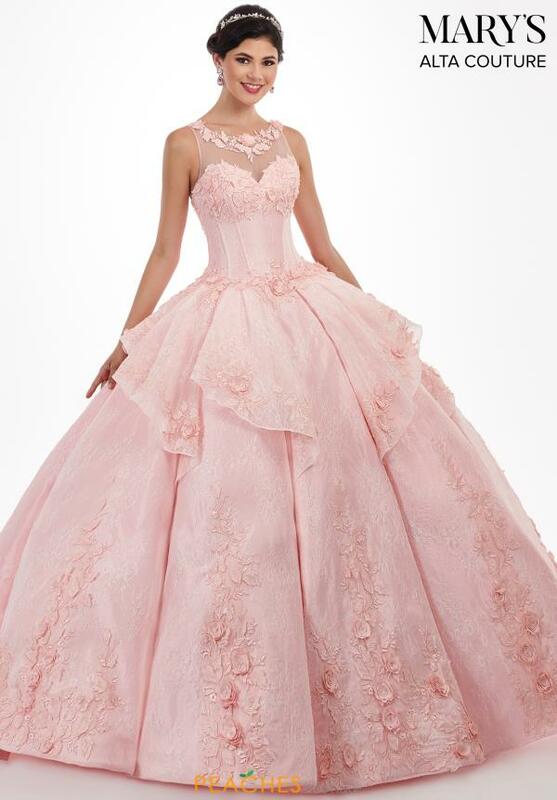 Jaws will drop when you enter your special event in this gorgeous Mary's ball gown MQ3029. This eye catching style has a high illusion neckline which is trimmed with three dimensional floral applique. The fitted bodice has a lace up back which cinches the waist before flaring out into the full skirt. The dress is made with a gorgeous lace material and adorned with floral applique throughout.